Sarah MacFadyen, former Producer, All in a Day, CBC Radio Ottawa. MJ, University of Western Ontario; BA History, University College, University of Toronto. Until 2012, Sarah was one of the creative brains and decision makers behind CBC Radio programs such as All in a Day and Ottawa Morning. Sarah started as a freelance reporter and associate producer with CBC Radio Ottawa in 1995, and went on to produce both CBO Morning (predecessor of Ottawa Morning) and All in a Day. Over her 16 years at CBC, Sarah did just about every job from reporter to documentary maker to producer. She had a hand in many of the major series and programming events at CBC Ottawa including producing the province-wide Thanksgiving program The Homecoming Show, coordinating and producing Size Matters, a weeklong series on obesity for both CBC Radio and TV, and creating All in a Day’s Canada Reads Literary Salon, a two-hour radio program that gathered Ottawa’s most influential literary figures to talk about books, the creative process and all things literary. 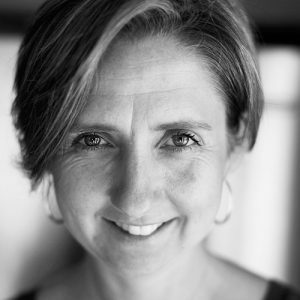 Today, when she isn’t teaching, she is a freelance journalist and communications consultant with her company Sarah MacFadyen Communications (www.sarahmacfadyen.com).